A new generation of the Hyundai Veloster is coming in 2019. When this sporty hatchback coupe first debuted in 2011, the Veloster stood out for its beautiful asymmetry: one door on the driver's side and two on the other. One of the beautiful things about this overhaul is how little the look has changed. If it's not broke, don't fix it. The changes to the exterior can be measured in tenths of an inch. The Hyundai Veloster sits a tiny bit wider and a tiny bit taller, but most people won't notice. The wheelbase hasn't changed. Lucky for us, those miniscule differences on the outside translated to an extra half-inch of headroom on the inside. The ergonomic seats are more comfortable than ever. The plastics are improved in quality. And the car continues to have surprisingly good side and front visibility. That ought to help convince compact SUV drivers that hatchbacks are every bit as good. The biggest update in terms of creatures comforts is the technology. 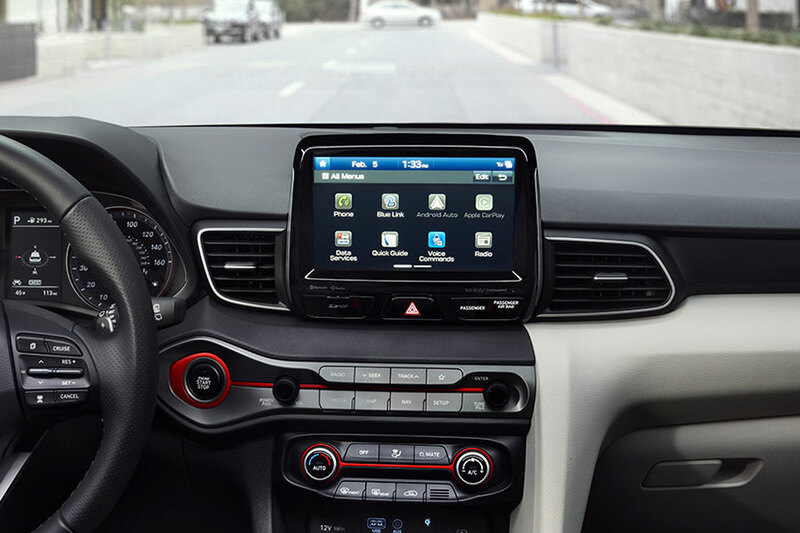 Offerings include 7-inch infotainment screen, LED daytime driving lights, backup camera, Bluetooth connectivity and three driving modes. Those are standard with affordable options including heads-up display, wireless device charging, and leather seating surfaces. Safety has vastly improved too. Every Veloster has forward collision avoidance assist. And blind-spot collision warning with rear cross-traffic collision warning is standard on all but the base trim. While the look might not have changed much, underneath the Veloster is a different vehicle. Buyers have two engine options to choose from. The base engine hasn't changed too much. It's a naturally-aspirated 2.0-liter Atkinson-cycle inline-four that generates 147 horsepower and 132 pounds per feet of torque. The big change is the new optional turbocharged 1.6-liter engine giving you 201 horsepower and 195 lb-ft of torque. This peppy engine is paired with your choice of a six-speed manual, six-speed automatic, or a seven-speed dual-clutch transmission with paddles. That's a heck of an engine for the relatively smaller Veloster and you'll certainly feel the power as you move to pass on the highway. 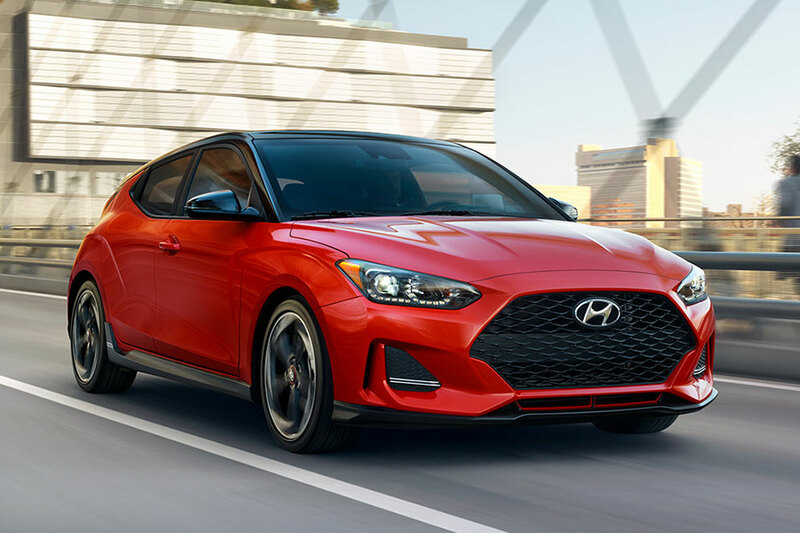 Perhaps the best part is that the 2019 Hyundai Veloster continues to be an affordable sporty option. This Hyundai starts at just $19,385 and even the best-trim Veloster with all the options is still only $29,035. If you're still not impressed, wait a few months more. There are rumors that the Veloster N is the sporty coupe we've all been dreaming of. The N trim will get 275 horsepower with a new exclusive engine option. Even without that option available, we're still mighty impressed with what the Veloster promises.